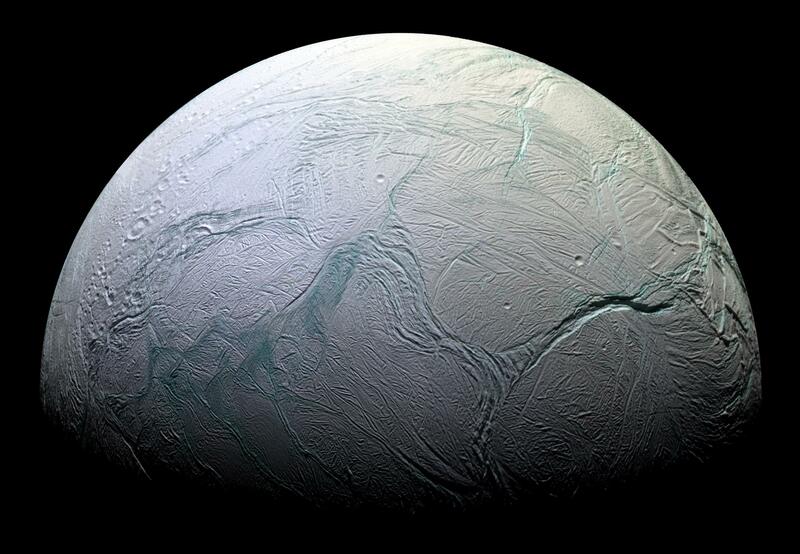 When it comes to places in the Solar System to search for possible alien life, Saturn’s moon Enceladus is now right near the top of the list. Like Jupiter’s moon Europa, it has a subsurface ocean of water, and even plumes/geysers of water vapour which erupt from fissures in the icy surface near the south pole. Those plumes contain organics as discovered by the Cassini probe and there is evidence for hydrothermal activity on the ocean floor, just like on Earth. The fissures are warmed by heat from below, and now there is evidence that some of them are even warmer than expected, meaning that water could be closer to the surface than previously thought.